“The Secret Life of Walter Mitty” got a whole lot less secret today with the release of this new movie by Writer/Director Ben Stiller (“Tropic Thunder“). 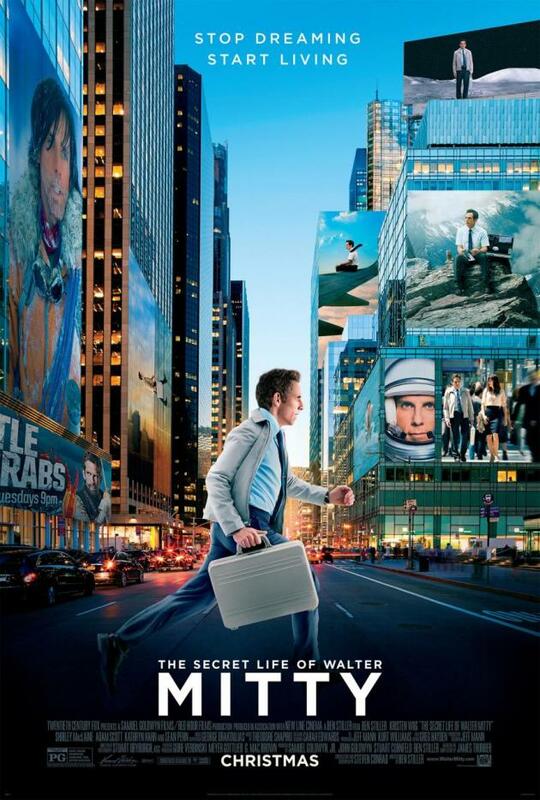 Walter Mitty (played by Stiller) works in the bowels of the company that produces “Life” magazine. He is mild-mannered and has lived a sheltered life of no consequence. Walter’s job title is “negative asset manager” and he is good at it. He is also good at daydreaming, which he does most of the time, especially when he looks at Cheryl (Kristin Wig from “Girl Most Likely”). Unfortunately, she is looking for a dream man and not a man that only dreams. “Life” is coming to an end, and there is one more negative for Walter to prepare for the cover. The only problem is Walter cannot find that negative. He has never lost one in 16 years and this sends him on a real adventure to find the famous recluse photographer Sean O’Connell (Sean Penn from “The Tree of Life”). There is a circular logic at work here. Walter likes Cheryl but does not have the courage to make a move on her. Although, it is because of her he finds the courage to dive in and out of helicopters and a bunch of other cool crazy things to find this negative. After he has done those things, he has the courage to make his move on her. This is quite normal for men, as a woman is the one thing that will have us running in circles. I wondered what the fantasy–reality mix would be in this movie, and I must say they found the right ratio. Stiller plays an excellent modern-day Mitty, who does not seek out his visions for fame or fortune, or even ego. He breaks out of his mold because he has to, which is the only other reason men do anything. All this is a welcomed departure from the original short stories of the 1940s. We are all Walter Mitty in some form. We are all ordinary people with big dreams of doing something extraordinary one day. Very few actually have the courage to take that leap of faith. I give this movie 4 ½ stars out of 5, and I dare you to take a chance, and see the best date movie of the year. Do not keep your dreams a secret.